When Hurricane Irma swept through Florida, animal shelters across the state quickly filled up. Thousands of pets were displaced and many strays were left without shelter. Amongst those animals were six pit bull mixes who were in dire need of a place to stay. 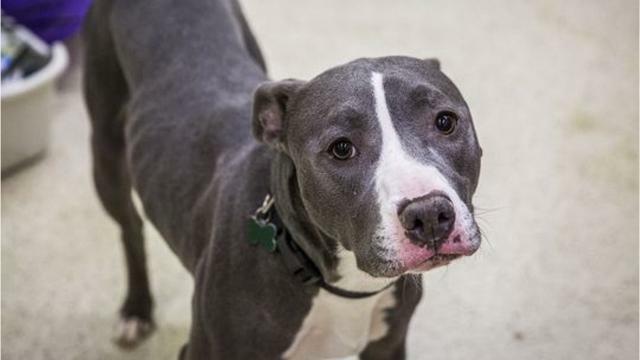 Amanda Litviak, adoption counselor at Muncie Animal Care and Services, owns a couple pit bulls herself, so she has a special place in her heart for the breed. She knew she had to get these pups help as soon as possible, especially since many shelters were even euthanizing animals in order to make room for more. 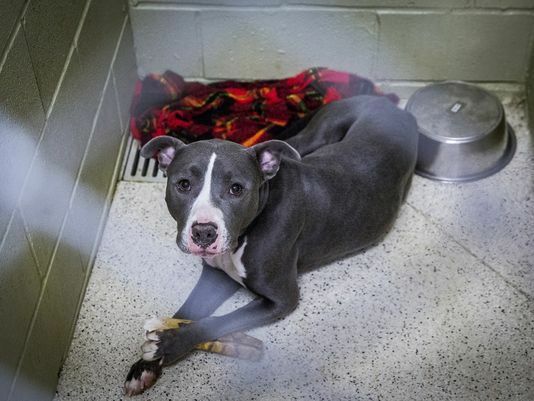 Luckily, Muncie’s shelter had room to take in the six pit bulls. 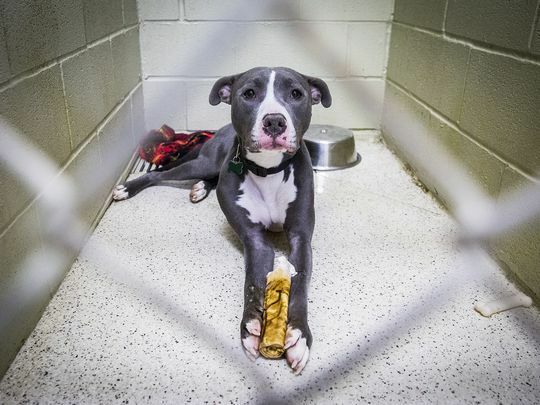 Litviak got in touch with a rescue in Hillsborough County, Florida, and with the help of volunteers, was able to save the dogs from euthanasia and transport them to Indiana. Luckily, five of the six dogs have been adopted into loving forever homes, but one still remains. 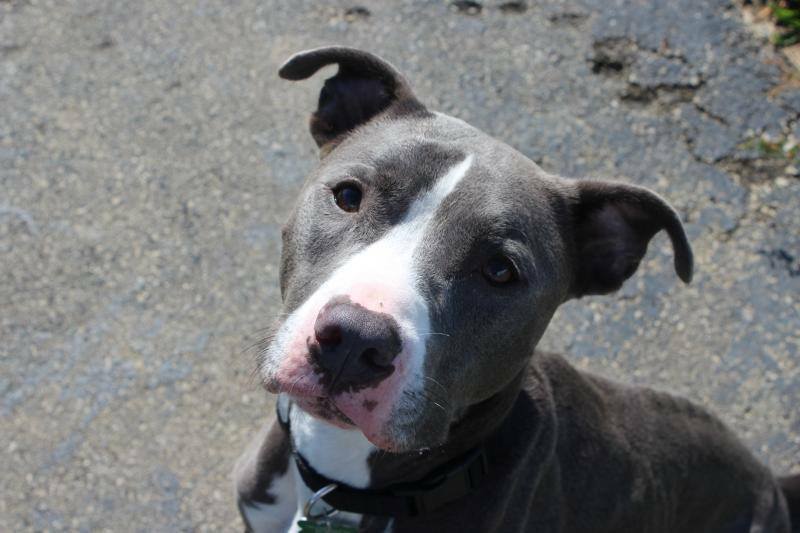 Poor Mason has been sitting at the shelter for the past four months, waiting for someone to adopt him. Shelters can be a very stressful environment for some dogs, and the long stay has definitely taken a toll on Mason. Muncie became concerned about Mason and wanted to do whatever they could to help him get adopted. They posted a video of Mason wagging his tail on their Facebook page, which has since been viewed more than 6,000 times. They’re hoping someone will see it and take an interest in the lovable pup. Unfortunately, he had been adopted before while at the shelter, but was returned because the woman couldn’t handle his energy. Muncie believes that one day Mason will find his perfect match, and they’re hoping it’ll be sooner rather than later. Litviak describes Mason as a “happy, goofy dog who loves to play outside.” He is estimated to be around three years old. If you’re interested in adopting or fostering Mason, you can visit the shelter at 901 West Riggin Road in Muncie, Indiana. A meet-and-greet is required in those interested in Mason.